Cheating Gourmet, the Auburn-based makers of premium frozen seafood products, announced Thursday a rebranding to Scott & Jon’s, the names of its co-founders Scott and Jon Demers. The brothers, who founded the company in 2011, said the rebranding is accompanied by a fresh look and innovative new line of pasta and noodle bowls. Like the brand’s flagship frozen shrimp and rice bowls, the new pasta and noodle bowls feature sustainably sourced shrimp and are all under 300 calories. The rebranding follows an influx of $800,000 in capital from the private equity firm Arbel Growth Partners, according to a March 13 report by SeafoodSource Executive Editor Cliff White. Arbel Growth Partners, based in Milwaukee, was established in February 2018 by a group of investors that includes Carl E. Lee, the former president and CEO of Snyder’s-Lance Inc., maker of snack foods Snyder’s of Hanover, Cape Cod Potato Chips, Late July and Pop Secret. The new private equity firm focuses on food startups. Arbel was a key investor in Cheating Gourmet’s second-quarter 2018 investment capital solicitation that raised $2.17 million, Bangor Daily News reported last July, citing a newly released MoneyTree Report by PricewaterhouseCoopers LLP and CB Insights. Scott Demers said at that time the influx of capital would be used to scale up the company’s growth. That included four new shrimp bowl flavors — jambalaya, coconut, parmesan, and risotto — and a tripling of distribution. In 2016, Mainebiz honored the Demers brothers’ company as a “fastest-growing company” in the small business category, reporting that the company’s revenue grew 198.19% over two years to $1.96 million in 2015, up from $1.03 million in 2014 and $655,862 in 2013. Over that span the company went from two to nine employees and planned to add another four people in 2017, Mainebiz reported in December 2016. The two brothers started the company in 2011 with their own money and made gourmet appetizers like lobster crostini and bacon-wrapped scallops in Scott’s kitchen, taste-testing them among friends and family. 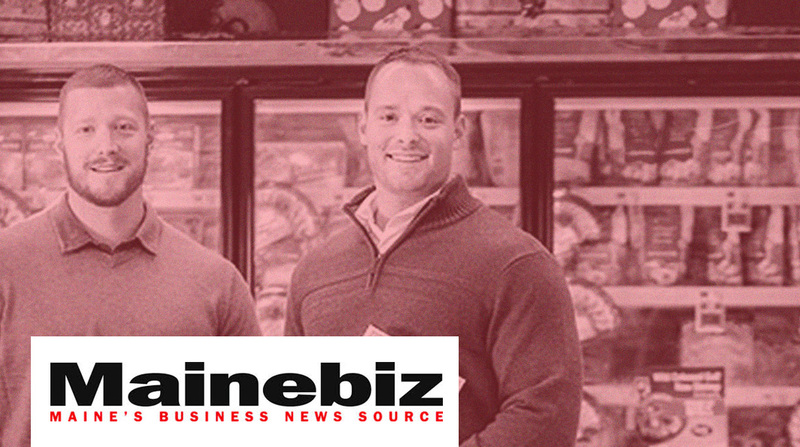 Heading into 2017, the brothers told Mainebiz their products were in 3,200 supermarkets and club stores, up from 900 stores in 2015 in 500 in 2013. They expected to be in 5,000 to 6,000 U.S. stores in 2017. Scott & Jon’s shrimp rice bowls are now available in seven flavors, including garlic butter, creamy parmesan, coconut, jambalaya, shrimp risotto, sweet chipotle and cilantro lime. Shrimp noodle bowls are available in ramen and spicy ramen. Shrimp pasta bowls are available in shrimp alfredo and shrimp scampi.